Gareth Bale is a surprise starter for Real Madrid as they take on Barcelona in LaLiga on Saturday, but Isco is on the bench for El Clasico. 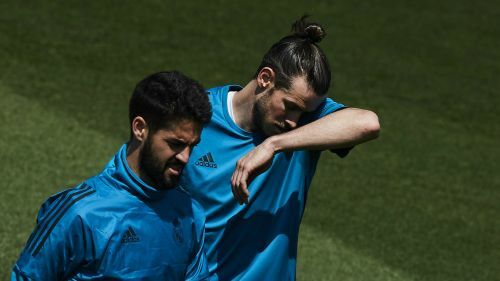 Bale appeared to fall out of favour after a calf injury at the start of the year, sparking speculation he could leave Madrid at the end of the season, but he will start in attack alongside Karim Benzema and Vinicius Junior. It could be considered a risk from coach Santiago Solari, who has picked Sergio Reguilon at left-back ahead of Marcelo, with Madrid having lost each of their four LaLiga Clasicos at the Santiago Bernabeu when the Welshman has featured. Isco was in Solari's initial squad after recovering from nearly a month out with neck and back pain, but the Spain international's wait for a first league start under the Argentine continues as he joins Lucas Vazquez – dropped for Bale – among the substitutes for the second visit of Ernesto Valverde's side this week. Barca have made a single change from the side that won 3-0 at the Bernabeu on Wednesday in the Copa del Rey semi-final, Arthur making his first start since sustaining a hamstring injury last month in place of Nelson Semedo. The Brazil international comes into midfield in a switch that will likely see Sergi Roberto return to a right-back role after Vinicius caused problems for Semedo on Wednesday. In that crushing win for Barca, Luis Suarez scored either side of a Raphael Varane own goal to send LaLiga's defending champions into a sixth consecutive Copa final, where they will face Valencia.